With another spectacular and memorable renewal of the Breeders’ Cup in the history books, the calendar pages have turned to November, the clocks have gone back an hour, and Thanksgiving is practically right around the corner. This can only mean one thing… it’s time to get started on the road to the 2016 Kentucky Derby! Trainer Chad Brown isn’t typically known as a trainer of dirt horses, given the fantastic success he has had with turf runners, but Gift Box looks like a colt that could send Brown down the Derby trail next year. After finishing third in his debut at Saratoga behind Sheikh of Sheikhs and Portfolio Manager, Gift Box stretched out to 8.5 furlongs at Belmont Park and turned in a very game effort to rally and win by a nose over Matt King Coal, with the third-place finisher another 18 lengths behind! Gift Box’s final time of 1:43 flat was solid and earned a Beyer speed figure of 93, and when Matt King Coal came back to win impressively at Belmont on October 29th, it only further cemented the belief that Gift Box could be something special. Of the colts on this list, Gun Runner might be the one that I’m most excited about. On September 11th, this son of Candy Ride made his debut in a one-mile maiden special weight at Churchill and turned in a huge performance, rallying to win by three-quarters of a length while running his final quarter-mile in less than 24 seconds. He backed up that promising debut with an even more impressive win in an 8.5-furlong allowance race at Keeneland, in which he waited patiently on the inside before splitting horses professionally to seize command and win by two lengths. Trained by Steve Asmussen and owned by Winchell Thoroughbreds, Gun Runner looks like a colt that will run all day, and I can’t wait to see what the future holds for him. The Kentucky Jockey Club Stakes (gr. II) on November 28th at Churchill could be a logical year-end target for Gun Runner. As mentioned earlier, Matt King Coal finished second to Gift Box in an 8.5-furlong maiden race at Belmont, setting quick fractions over a sloppy track before losing by a nose in the final strides. That was just the second start of his career (he had previously been third in a sprint at Saratoga), and he showed further improvement when defeating Champagne Stakes (gr. I) third-place finisher Portfolio Manager by 5 ¾ in a one-mile maiden race at Belmont on October 29th. That effort earned him a Beyer of 96, and while his pedigree doesn’t shout Kentucky Derby—he’s by Cool Coal Man out of a Came Home mare—there’s little doubt that this Linda Rice-trained colt has talent and could have a big impact on the road to the 2016 Kentucky Derby. After finishing second in his debut sprinting 6 ½ furlongs at Santa Anita, this Bob Baffert-trained son of Eskendereya stretched out to a mile on October 23rd and delivered a big effort, tracking modest fractions in third place before taking command in the homestretch and drawing off to win by 4 ¼ lengths. His final quarter-mile time of about :25 2/5 wasn’t anything to write home about, but his final time of 1:37.48 translated to a solid Beyer of 92, and the runner-up finished 8 ¼ lengths ahead of the third-place finisher. It’s also worth noting that Gary Stevens was aboard for both of Mor Spirit’s races—could Baffert and Stevens have a budding star on their hands? Let the road to the 2016 Kentucky Derby begin! 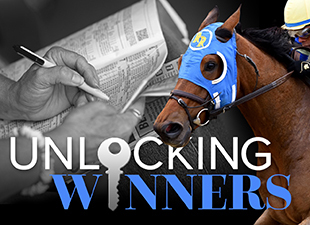 Which up-and-coming two-year-olds have caught your eye so far?